The shed is just the normal common or garden variety. We lined the interior with hardboard so that we had the smooth surface necessary for such a formal treatment. The walls were painted with emulsion (latex) paint and the background for the different stencils were applied with contrasting colour. White acrylic paint was used for all the stenciling. 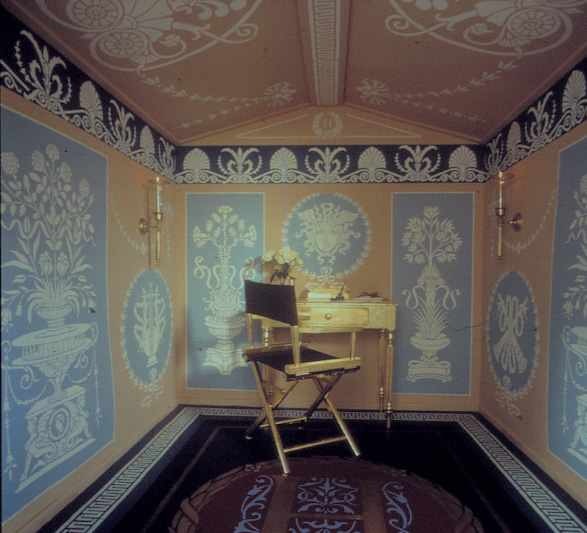 Most of the stencils can be found in our Regency and Empire collection. All the furniture was gilded with Dutch Metal in gold. Canvas cloth was cut to cover the floor. The cloth was then painted, stencilled and varnished. 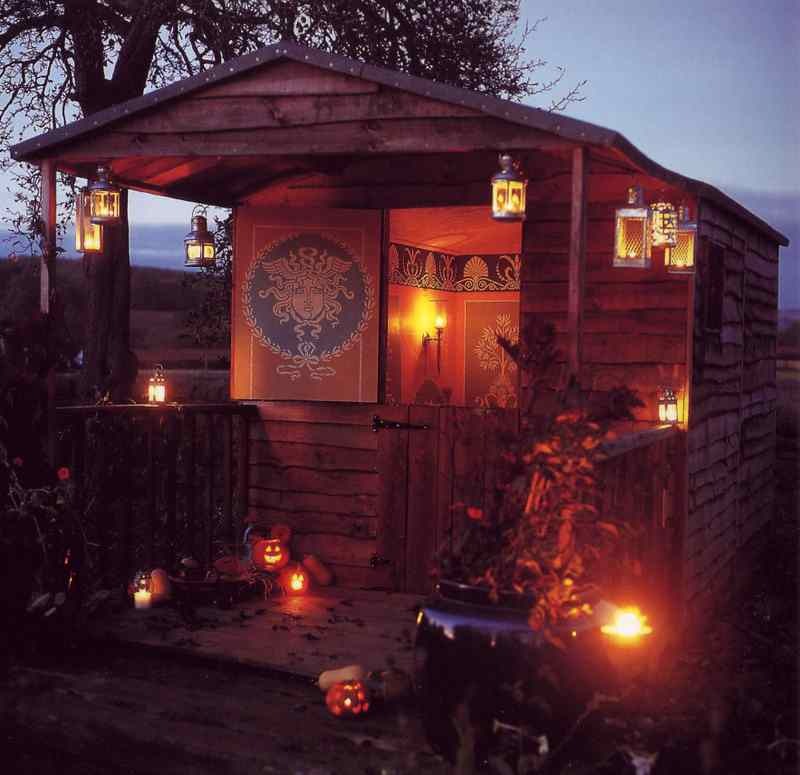 The shed is used all summer as a sitting room. In the winter it is filled with mowers and garden furniture. Helen's blog is well worth a browse if you like stencils. And sheds. For great value home insurance get a home insurance quote online from Tesco Bank. Every Little Helps.